Android phones and tablets can fill up quickly as you download apps, add media files like music and movies, and cache data for use offline. Many lower-end devices may only include a few gigabytes of storage, making this even more of a problem. The less space you have, the more time you’ll have to spend micromanaging the internal storage. If you find yourself regularly running out of space and needing to manage it, consider getting a phone or tablet with more storage next time around. 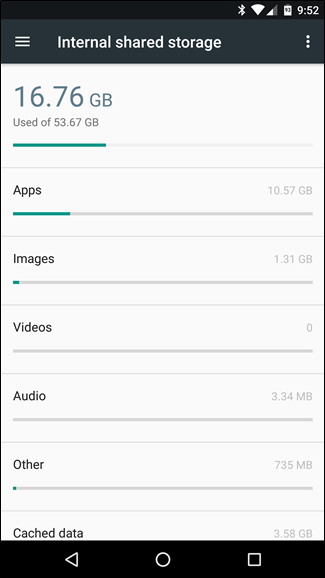 Modern versions of Android have a Storage pane that will show you exactly what is taking up storage on your device. To find this, open the Settings screen and tap Storage. 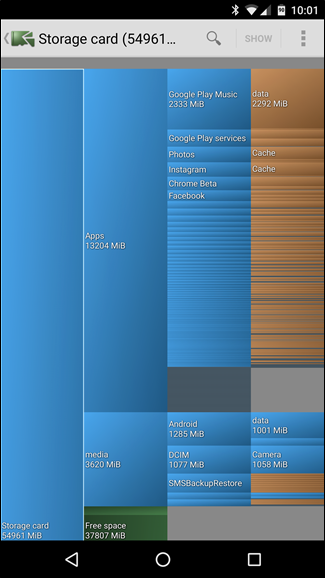 You can see how much space is used up by apps and their data, by pictures and videos, audio files, downloads, cached data, and miscellaneous other files. Tap an option here to see exactly what’s using up space and delete it. For example, you could tap Apps to see a list of apps using up the most space and remove them. Tap downloads to view your downloads list where you can remove files and tap cached data to clear the data of all installed apps. Use the other options to view which files are taking up space and remove the ones you don’t want. 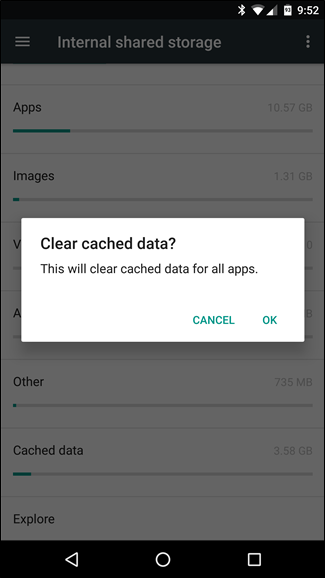 When dealing with apps, bear in mind that the app itself, its data, and its cache all add up to the total space used by the app. For example, if you have Spotify installed and you’ve cached lots of music offline, Spotify may be using over 1 GB of space. You could clear Spotify’s cache to forcibly remove this all, or launch the Spotify app and tell it to cache less data for offline listening. Any app that caches data for offline use will function like this. 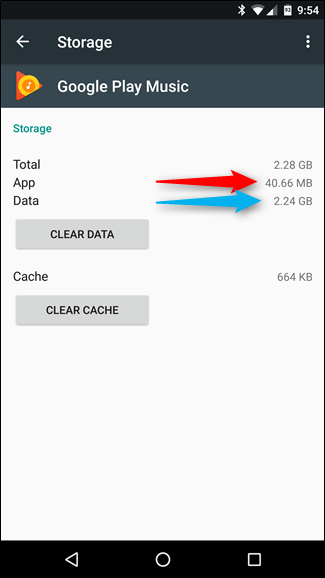 In the screenshot below, Google Play Music is only 40.66 MB in size on its own, but it’s storing 2.24 GB of cached music. 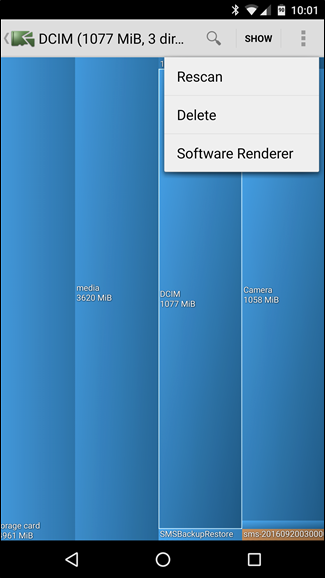 Android’s built-in tool is helpful for visualizing the space used by different types of data, but not the exact amount of space used by individual folders and files. For this, you’ll need a third-party app like the excellent and free DiskUsage. Install it from Google Play, launch it, and you can scan your device’s file system. Use the visualization to see which folders and files are taking up the most space. You can delete them right from within the Disk Usage app to free up space. For example, you might see a leftover folder from a game or app you’ve uninstalled. That app should have removed that data, but you can do it by hand with this app. Select a folder or file, tap the menu button, and tap Delete to remove it. Bear in mind that you could delete files that apps depend on here. Don’t delete data belonging to an app unless you’re willing to lose that data. In many cases, the data should be synced online in some way and you should just be able to re-download the data if you need it. 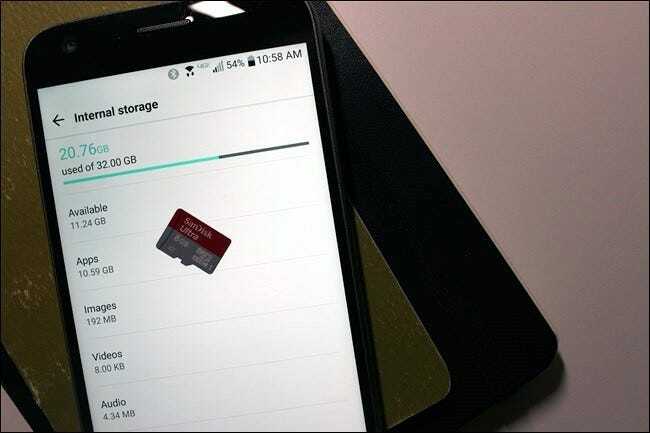 Many Android devices still ship with microSD card slots, although they are becoming less and less common on newer devices. If your phone or tablet does have a microSD card slot, you can purchase a microSD card and insert it into your device to gain more storage. The storage you gain can hold music, videos, pictures, and other media files–and, in some cases, even apps (see the next section). 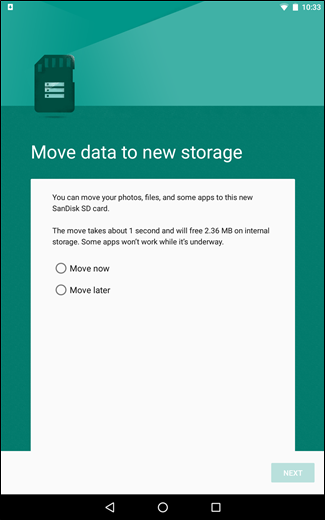 Some apps may allow you to move their cache locations to the SD card, too. If your device already has an SD card, this is a good option if you want more storage. MicroSD cards are fairly cheap, so you can upgrade and get a lot more storage for a fairly low price. A quick look at Amazon shows 32 GB cards for $10 and 64 GB cards for $19. 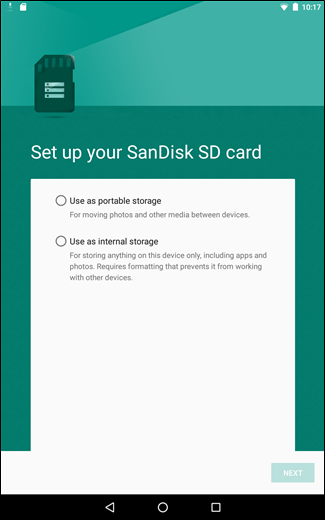 If you are running a pre-Marshmallow version of Android, you can move some apps using Android’s built-in features, or move any app by rooting your phone and partitioning your SD card. You can find instructions for both of those methods in this guide. If you don’t like Google Photos, you can also do this with other apps, like Dropbox. The same trick could work with other files taking up a lot of space on your device—for example, you could upload a large music collection to a service like Google Play Music and stream it back to your device over an Internet connection, caching the files you need instead of storing your entire collection on the phone. 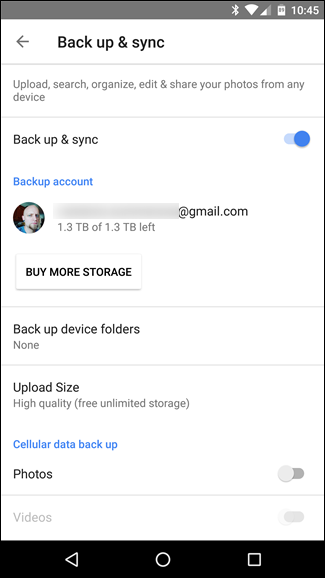 At the end of the day, these tricks will only go so far–so for your next phone, make sure you have enough storage for all your files. But in a pinch, these tricks should help you get a little more space to fit the stuff that matters. Online Business Directory are Still Beneficial for Start-ups?